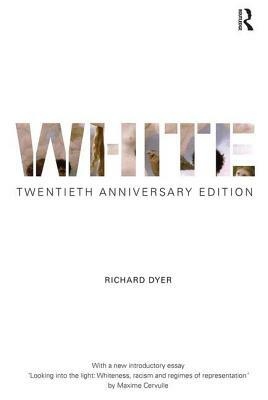 Now twenty years since its initial release, Richard Dyer's classic text White remains a groundbreaking and insightful study of the representation of whiteness in Western visual culture. White explores how, while racial representation is central to the organisation of the contemporary world, white people have remained a largely unexamined category in sharp contrast to the many studies of images of black and Asian peoples. Looking beyond the apparent unremarkability of whiteness, Dyer demonstrates the importance of analysing images of white people. Dyer places this representation within the contexts of Christianity, 'race' and colonialism. In a series of absorbing case studies, he shows the construction of whiteness in the technology of photography and film as part of a wider 'culture of light'; discusses heroic white masculinity in muscle-man action cinema, from Tarzan and Hercules to Conan and Rambo; analyses the stifling role of white women in end-of-empire fictions like Jewel in the Crown and traces the associations of whiteness with death in Falling Down, horror movies and cult dystopian films such as Blade Runner and the Aliens trilogy. This twentieth anniversary edition includes a new introductory chapter by Maxime Cervulle entitled 'Looking into the light: Whiteness, racism and regimes of representation'. This new introduction illuminates how Dyer has made a major contribution to the study of contemporary regimes of representation by unveiling the cultural mechanisms that have formed and reinforced white hegemony, mechanisms under which white people have come to represent what is ordinary, neutral, even universal.